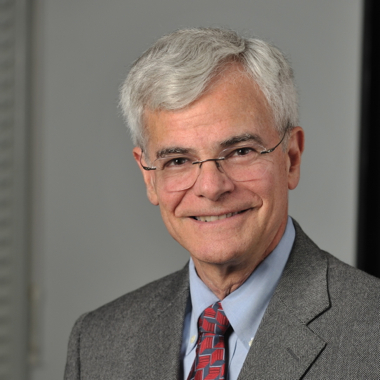 Michael Gottesman has been Deputy Director for Intramural Research at NIH since 1993. A graduate of Harvard College and Harvard Medical School, Dr Gottesman completed an internship and residency at the Peter Bent Brigham Hospital in Boston. He was a research associate at NIH from 1971 to 1974. He returned to Harvard Medical School as an assistant professor before returning to NIH in 1976. Dr Gottesman became Chief of the Laboratory of Cell Biology in the National Cancer Institute in 1990. From 1992 to 1993, he was Acting Director for the National Center for Human Genome Research, and he was Acting Scientific Director of the NCHGR in 1993. Dr Gottesman’s research interests have ranged from how DNA is replicated in bacteria to how cancer cells elude chemotherapy. He has published extensively on these subjects, with over 500 scientific publications to his credit. During the past ten years, he has helped to identify the human gene that causes cancer cells to resist many anticancer drugs. He has shown that this gene encodes a protein that pumps anticancer drugs out of drug-resistant human cancers and has used this information to create gene transfer vectors and to circumvent drug resistance in cancer. He is an elected fellow of the AAAS, the American Association of Physicians, and has been a member of the National Academy of Medicine since 2003 and the American Academy of Arts and Sciences since 2008. He was elected to the National Academy of Sciences in 2018. Dr Gottesman has been actively involved in initiating several training and mentoring programs for high school students and teachers, as well as college, medical and graduate students. As Deputy Director for Intramural Research at NIH, he has initiated an NIH-wide lecture series, and reformulated tenure and review processes in the intramural program. He has also instituted training programs for minority and disadvantaged students, programs to advance the careers of women scientists, loan repayment programs for clinical researchers at NIH, and a clinical research training program for medical students and early career clinical investigators.